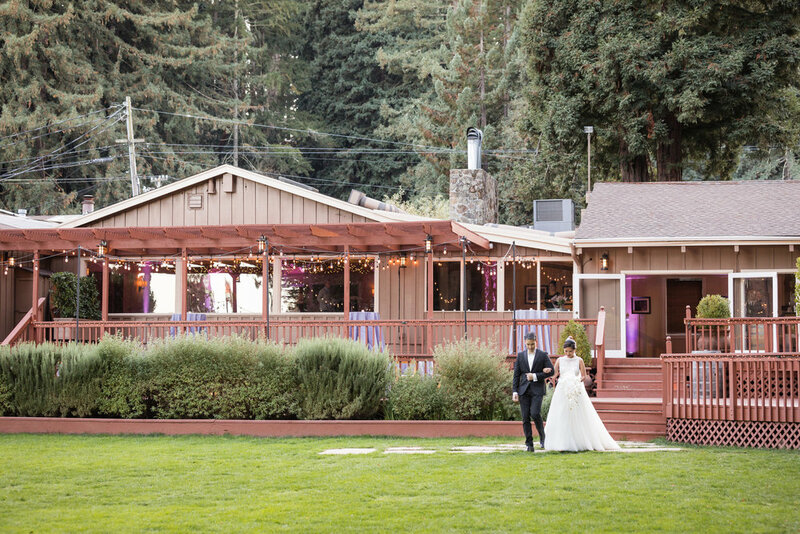 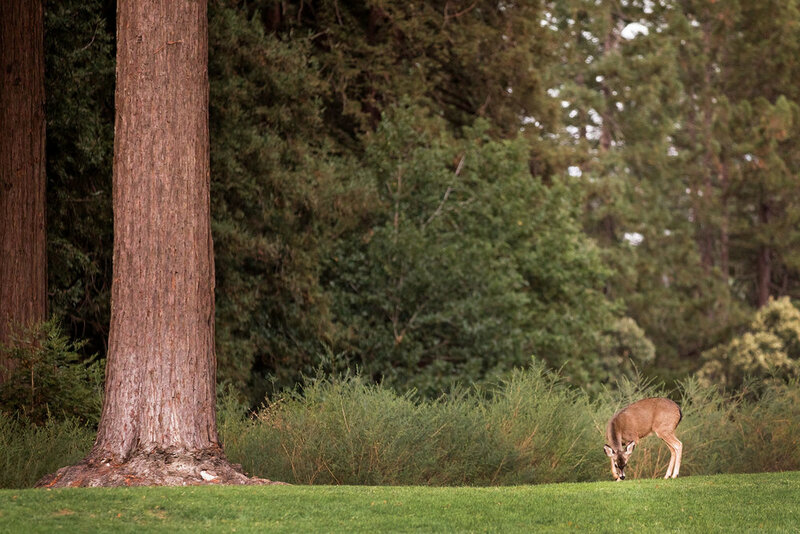 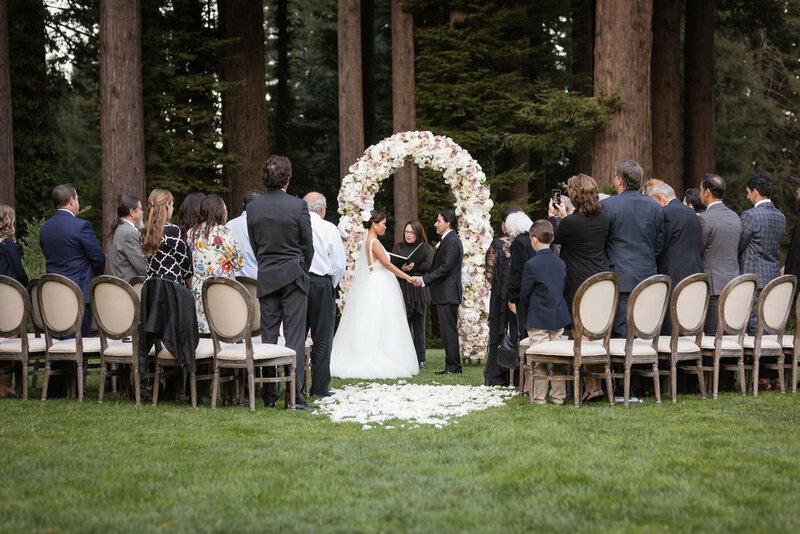 Classic elegance meets woodland forest at the Mountain Terrace in Woodside California. 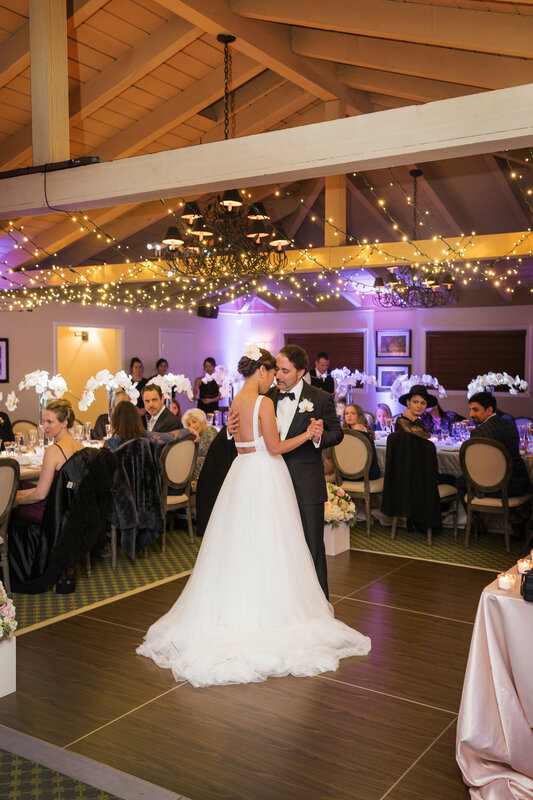 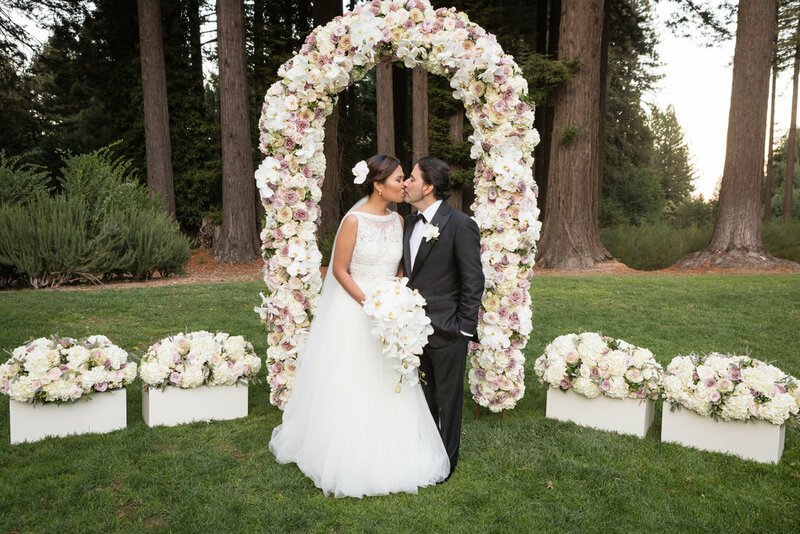 Perfectly planned by Rock N' Events, the outdoor ceremony impressed with an abundance of flowers, while the indoor reception sparkled with candle light. 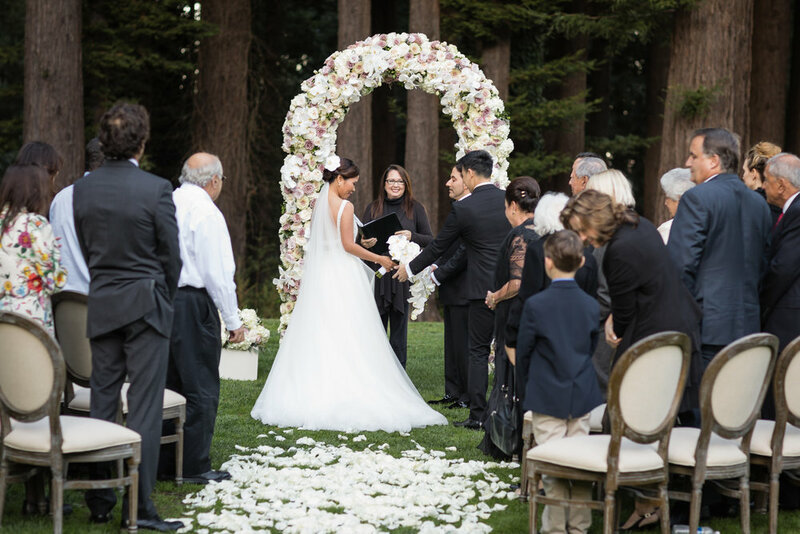 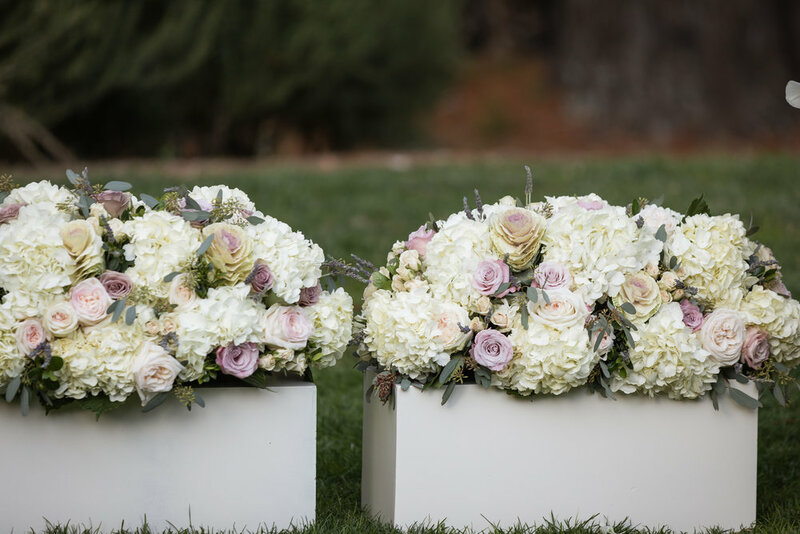 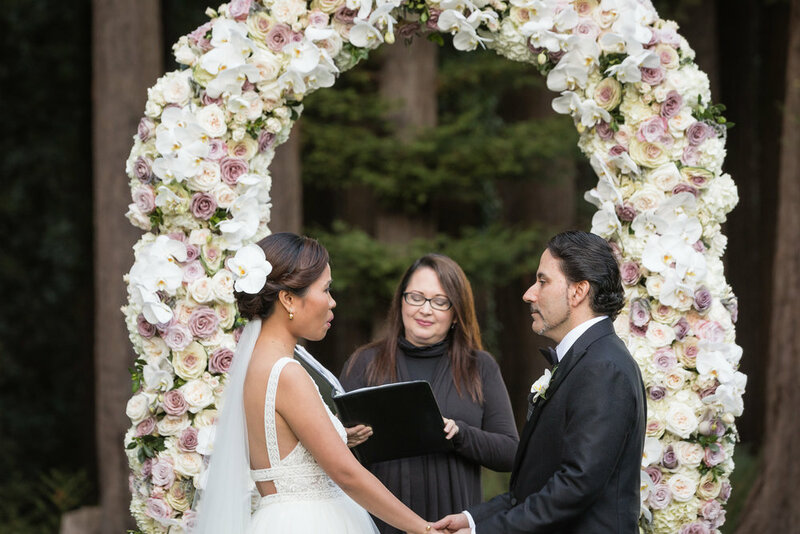 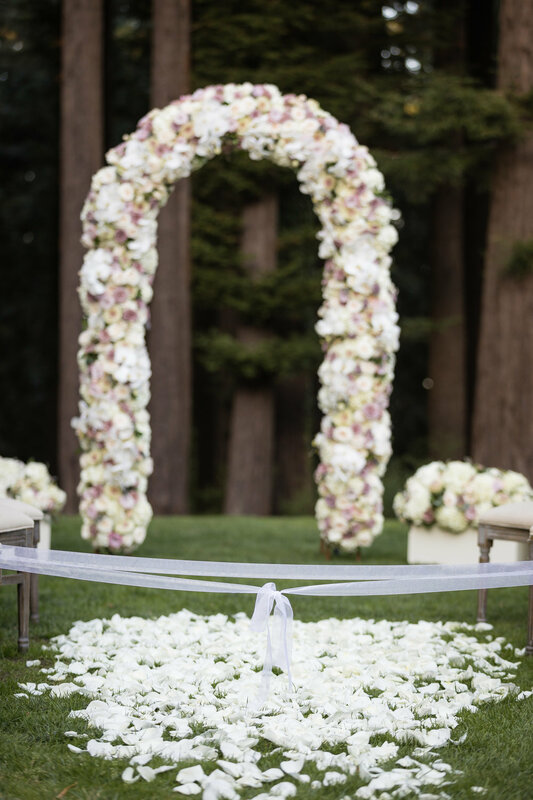 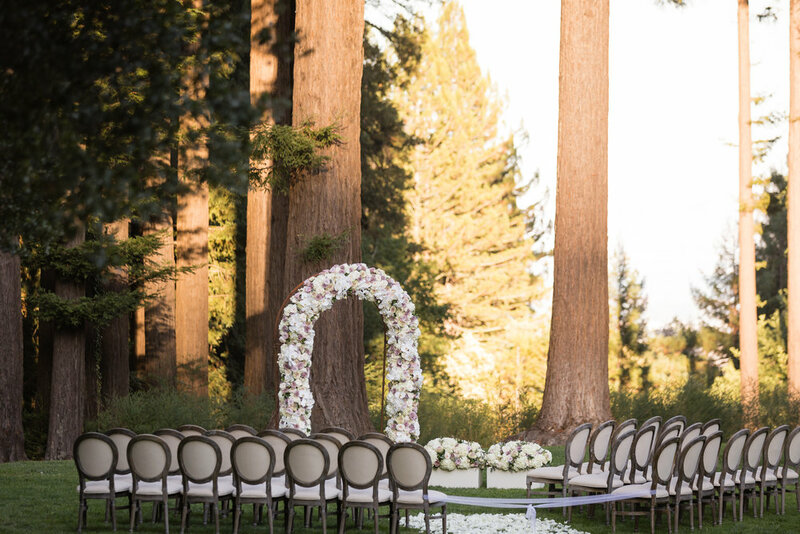 The rounded floral altar and low ivory pedestals with roses, orchids, and hydrangea and the aisle scattered with rose petals made a stunning contrast against the towering redwood grove backdrop. 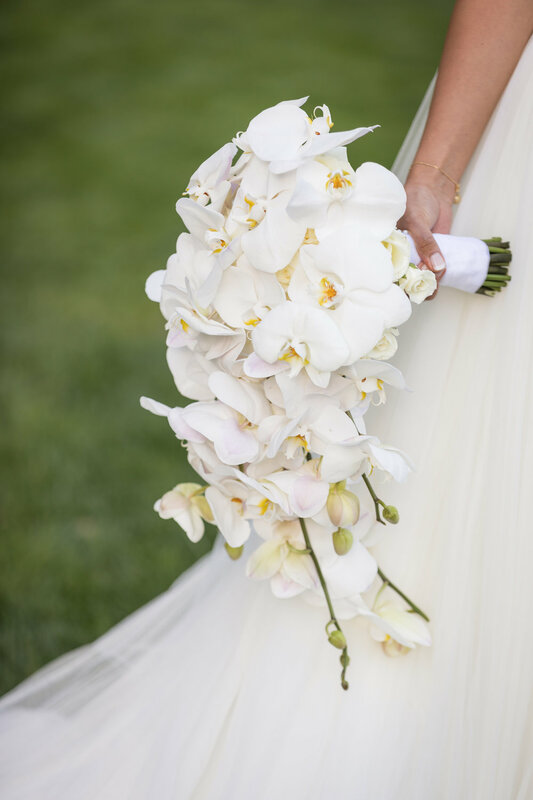 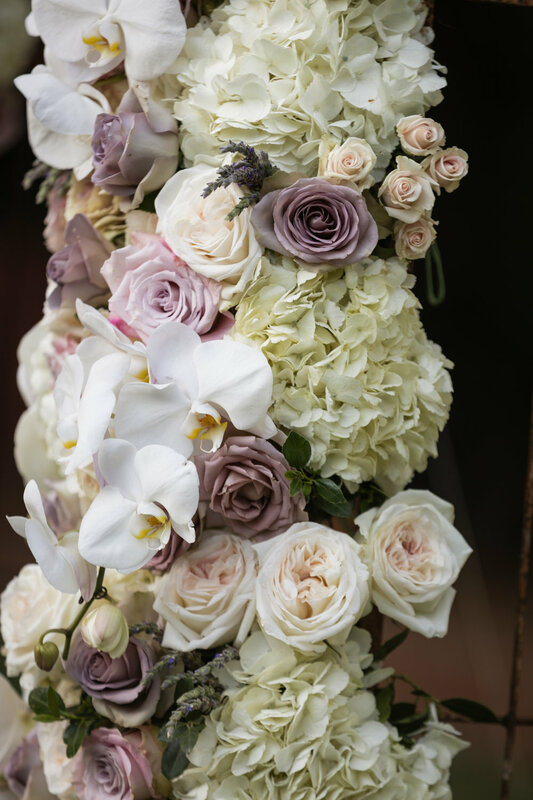 The bride's bouquet was perfect elegance with cascading white orchids, while the grooms boutonnière, a single white orchid was simple and tasteful. 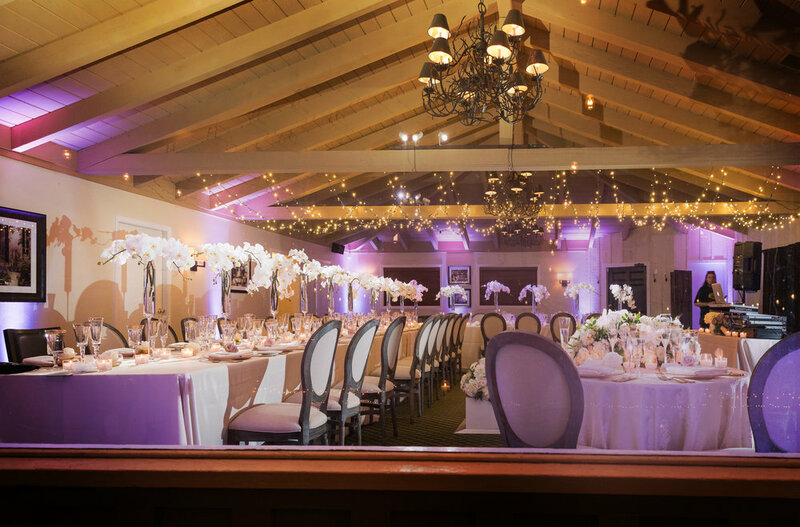 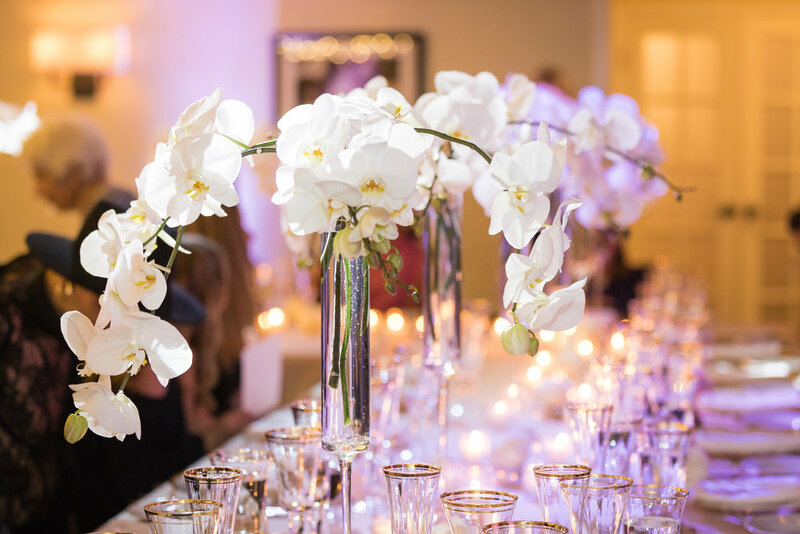 The reception dazzled with tall slender halo vases filled with white orchids and illuminated by soft candle light. 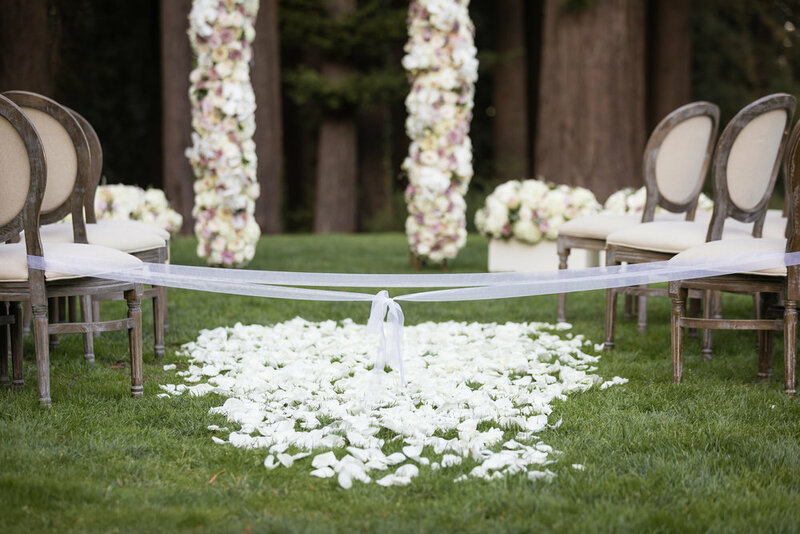 The sweetheart table was perfectly decorated with a floral arrangement spilling down the front of the table. 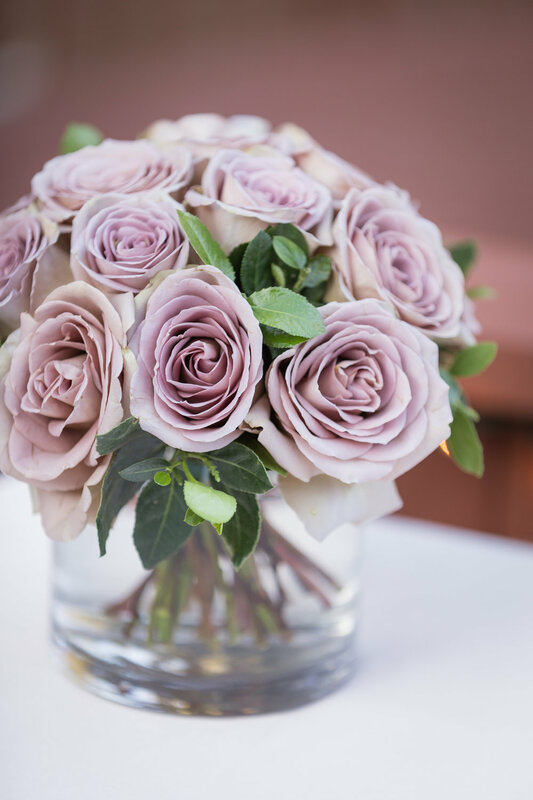 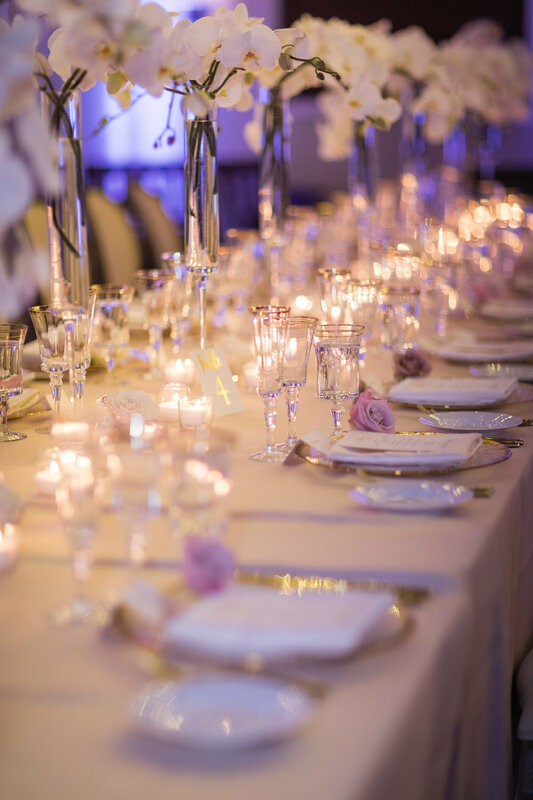 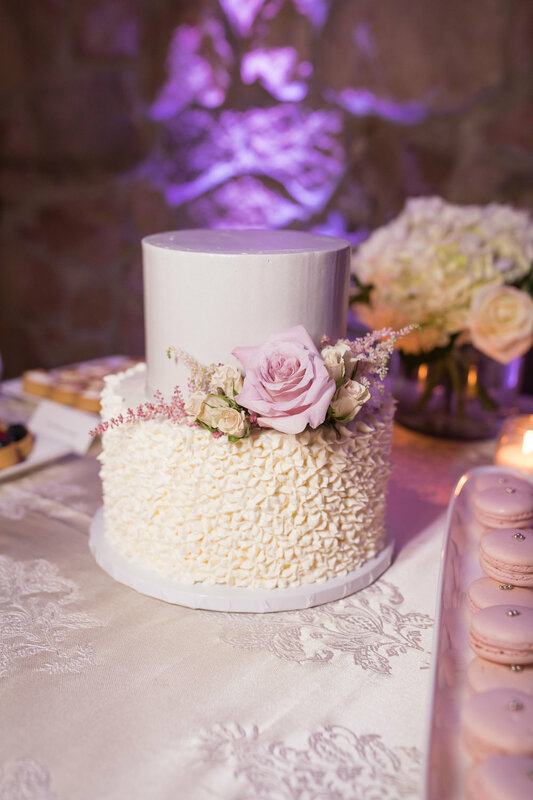 The stunning event was beautifully captured by Lily Rose Photography.